In terms of high-quality work boots, two of the most prominent names in the industry are Ariat and Justin. 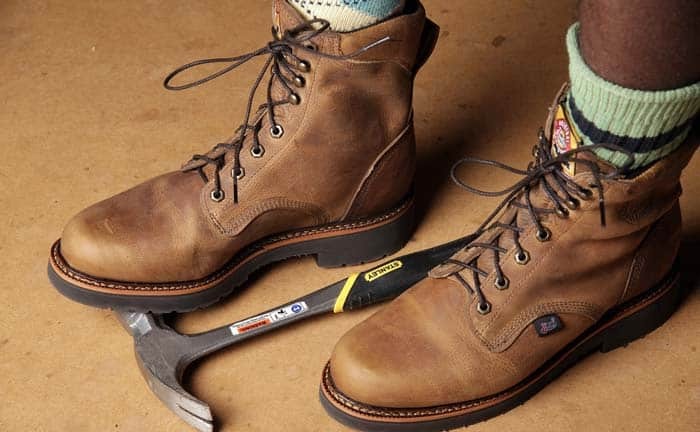 Both brands are among the most trusted names in the field considering the fact that they constantly aim to produce high-quality and durable work boots. However, while there are some similarities between Ariat and Justin, take note that there are also a few differences. 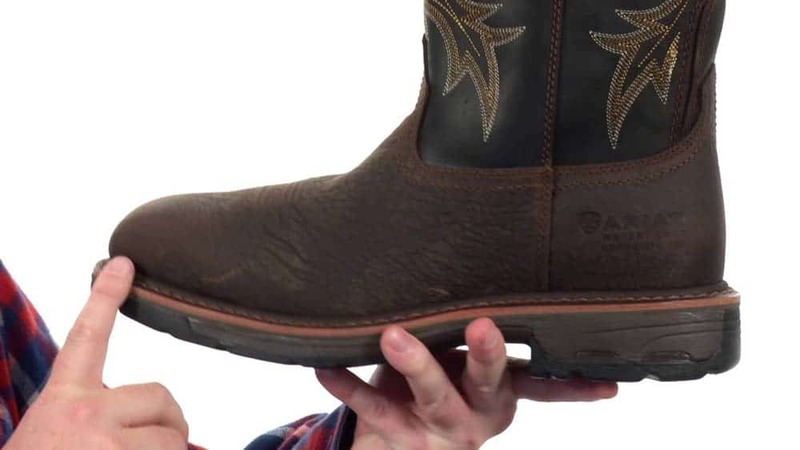 Delve deeper into Ariat vs. Justin work boots and how the two maintain a great reputation in this industry through this article. By gathering information about the two brands, you can also better decide, which between the two is suitable enough for you. One of the things that you have to take note of about the two brands is that they have different beginnings. Ariat, for instance, started in 1993. It was founded with the help of Pam Parker and Beth Cross who during that time, planned to build a company with an aim of revolutionizing the footwear designed for riders. The co-founders are fully aware of how stiff traditional riding boots are and how hard and heavy they are at times on the feet. Such prompted them to group together top footwear designers and engineers at that time as a means of creating the most innovative riding boots worldwide designed for Western and English riders. From the time it was founded, Ariat received positive feedback and good reception from the public. In fact, it is considered to be one of the top brands of performance footwear brands for English and Western users in America. It has been in the business for over twenty years and until now, it still continues to push its limits in terms of the technology and style it uses for their footwear. 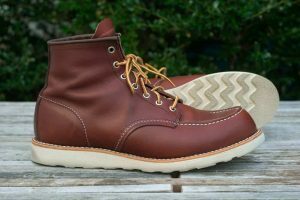 It has also built a great reputation, especially for first-time buyers of work boots who want to wear one for comfort. Justin Boots, on the other hand, started earlier than Ariat. It actually began its business in the year 1879 when H.J Justin, a boot repairman moved to Texas and built his own company at the comforts of his home. 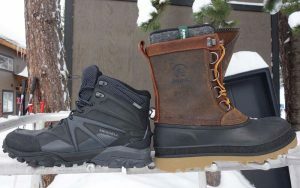 Justin is known for the durability and quality of their boots considering the fact that a single pair requires over a hundred steps to complete. Also, each pair of Justin boots makes use of over sq. ft. of natural leather, which is the main reason why the output is truly valuable for buyers. The company started in America and it still continues its operation in the country up to this day. It has also established an excellent reputation, especially in terms of authenticity and performance. Presently, Justin Boots boasts of its three factories in the US, making it the biggest domestic footwear manufacturer in the country. Ariats work boots are noted to run slightly larger. The indicated sizing of their boots, for instance, are either true to their size or a half size smaller when compared to the size of your street shoes. That said, you have to know exactly how the Ariat work boots fit you prior to buying. You know that it fits well if it snugly fits your heel, too. Also, when wearing the Ariat work boots, you will notice a bit of lift or movement in the heel when you are walking. It is mainly because a well-fitted boot tends to flex while you are walking. It should also cause your heel to lift a bit but not too much. Also, you will notice that the Ariat boots come with a stiffer stole when they are still new. You can expect the sole to become even more flexible and comfortable, though, once you break it in. Just like Ariat, Justin work boots also tend to run slightly larger. The size indicated may also mean that it comes at its true size or is around one-half size smaller. In this case, you have to take into consideration three vital factors when buying a work boot from Justin – the ball, heel, and the instep. Also, take note that the ultimate decision on which among the work boots from Justin fits you well is actually dependent on your own personal preference. It could be based on how the shoe feels based on the three mentioned factors. In terms of durability, both Ariat and Justin work boots deliver. For instance, the Ariat Workhog Trek 8 H20, which is considered to be one of Ariat’s most superior footwear, is full of qualities that make it truly durable. It is constructed out of welt following the Goodyear concept, making it stronger than others and ensuring that it won’t give up that fast. You can also expect it to last long as there is a water-resistant system used all throughout its body. It works in keeping water away from the boots with the aid of a special full grain leather, which also comes with an impermeable membrane covering. With that, expect the interiors of the shoe to stay dry even when you expose it to wet conditions, thereby preventing possible damage. The fact that there is a mesh lining in the boot also makes it stronger without compromising its flexibility and comfort. It is possible for you to notice the same level of flexibility from the other work boots offered by Ariat. Justin work boots also never fail to impress in terms of durability. In fact, many say that as far as durability is concerned, Justin is better than Ariat. It is mainly because it makes use of the best type of leather in its boot’s anatomy. The leather material is high-quality enough while also feeling amazing when you touch it. In addition, the boots from Justin are also known for their excellently durable construction. It tends to combine simple yet high-quality and durable materials as a means of producing sturdy boots guaranteed to last for years. With that quality, you have some sort of assurance that it will last for years, giving you real value for your money. Ariat does not disappoint in terms of offering maximum comfort to its users. In fact, most of the boots from the brand make use of three prominent features designed to offer the highest level of comfort to its wearers. One of these is the footbed cushioned with gel. Such footbed does not only offer a high level of comfort but also excellent foot support and enough stability. The brand also makes use of an EVA midsole, which also boasts of their shock-absorbing properties. With that in mind, you have an assurance that it can offer adequate support as you take each step. You will also notice that extra wide shank of most of the boots from the brand. Such feature is designed to provide more than enough room for your feet to breathe. The good thing about the shanks is that they are also equipped with heel stabilizers. With the presence of stabilizers, you know that it can offer a high level of support for your feet while also minimizing work fatigue. With all these features, it is no longer surprising to see Ariat being more superior to Justin in terms of comfort. However, that does not necessarily mean that the boots from Justin can be considered as disappointments in terms of comfort. In fact, they are built with an insole, which makes use of a double comfort system. Such makes use of new orthotic inserts, offering a feeling of comfort each time you walk and take each step. It can also offer long-lasting support and comfort. You will also be glad to know that both Ariat and Justin are work boots built with a high level of protection. Some of the boots from the Ariat brand feature a composite toe, which is more than enough to give workers protection from heavy objects that might fall on their feet. They also feature a slip-resistant and oil-resistant outsole, which is beneficial as they protect you from accidental falls even if you work in an area with slippery surfaces and floors. The outsole is also designed with a high level of wear protection and ergonomic flexibility. Justin work boots are also protective in the sense that they are capable of resisting electrical hazards. The work boots from the brand are often built with an electrical hazard protection designed to guarantee your safety from open electrical currents that are up to 18,000 volts. Work boots are meant to give you a high level of comfort, protection, and durability – and that’s what you can expect to receive from the footwear offered by Ariat and Justin. 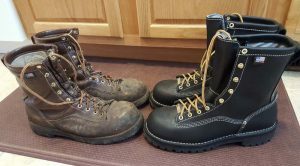 Just make sure that you spend time comparing the different work boots from both brands so you can really pick one that is compatible with your standards and needs.